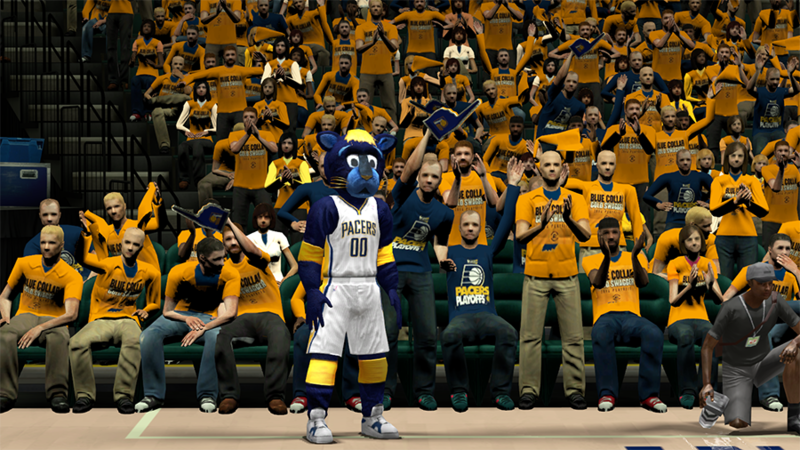 Indiana Pacers playoffs crowd mod for NBA 2K14 PC. 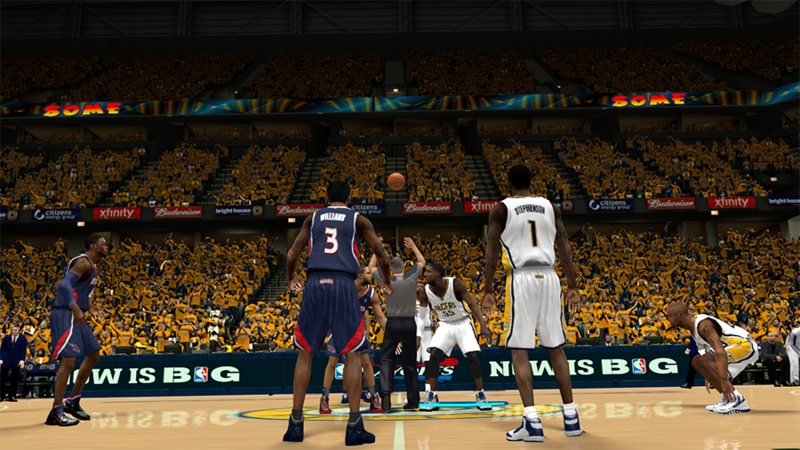 Majority of the fans in the stadium are wearing gold shirts with "Blue Collar Gold Swagger" slogan, while some are wearing navy blue with "Pacers Playoffs" printed across the front, just like the real crowd in Bankers Life Fieldhouse. 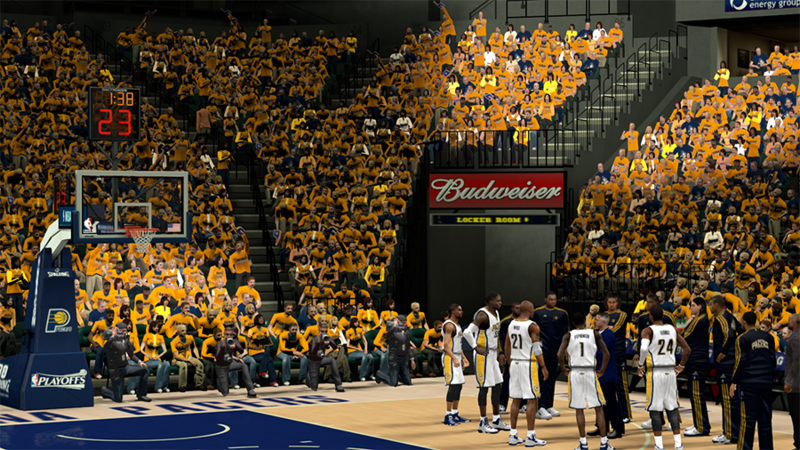 NOTE: I recommend that you backup your default crowd file before installing this.